We can offer TV wall hanging on nearly all types of wall, even stud walls. It can be quite stressful hanging your expensive TV on a wall if you have never done it, or had limited experience. We have installed many TVs on wall mounts over the years, so you can be sure will will do a safe, tidy job, whatever the size of your TV. 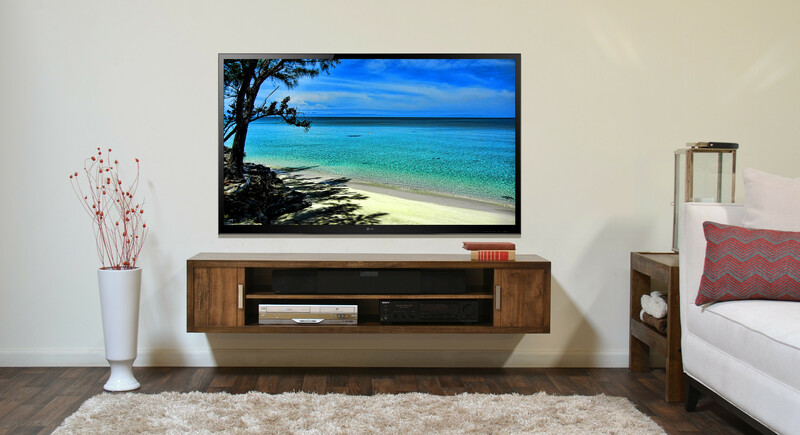 Mounting a TV on a wall can create more space, or improve the visibility of your TV from different parts of the room. We have fitted hundreds of TVs over the years. Call today for a free quote. It is also possible to set-up any of your home cinema equipment or DVD players or sound bars you may have. DCTV are experts in configuring you audio visual equipment. Safety is very important, you don’t want your TV to fall off your wall. You can trust us to install your TV wall mount.